After giving fans something back with his free music imprint Sosumi Records, which ran for 100 releases, July saw him branch out with Kryteria Records, partnering with the formidable Spinnin’ Records to create the label arm of his hugely successful Kryteria Radio show, which itself is syndicated to over 100 FM stations worldwide, with over 100,000 weekly subscribers on iTunes. Kryder launched the label in impressive style, with the debut release coming in the form of his long-teased collaboration with dance music heavyweight Steve Angello ‘Romani’, and you can be sure to see Kryteria live in cities across the globe in 2018 and beyond.
. With a seasoned understanding of what it takes to rock the dancefloor, his jam-packed schedule continues to build momentum, with several standout shows at Miami Music Week 2018 adding to his impressive list of performances which have included festivals such as Creamfields, Mysteryland, Tomorrowland, Dance Valley, Ultra, Tomorrowland, Sensation, Electric Love and Medusa. 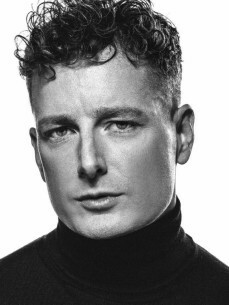 Kryder also has a catalogue of remixes and originals forthcoming, delving into the realms of pop, dance and beyond to showcase his diversity across an ever-widening spectrum, as Kryder’s work ethic and ability to deliver at the highest level continues to skyrocket and place him firmly in the higher tier of dance music’s elite.